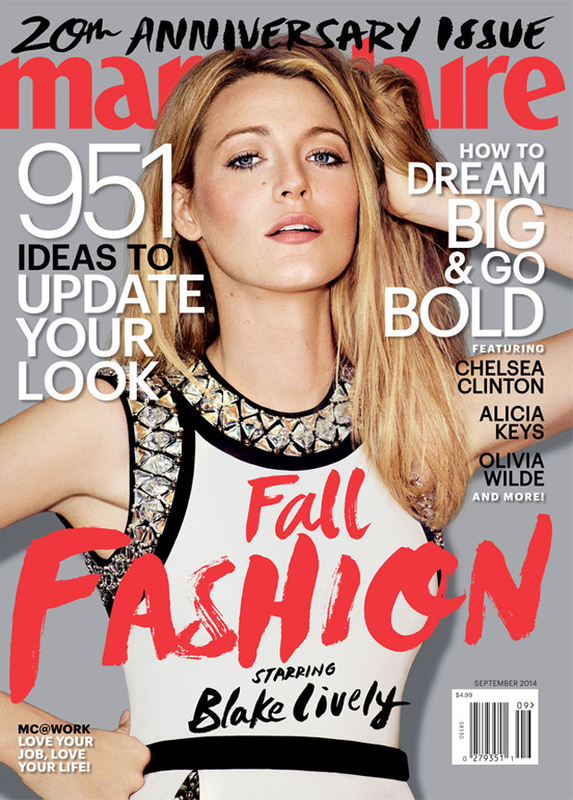 Hold on, haven't we already seen Blake Lively on a cover this month? Oh, wait, no, that was Vogue August 2014, in an issue that had us with our jaws on the floor. Lively is an absolute style goddess. There's just no getting around it. That may be why magazines around the world are tripping over each other to score a cover with the former Gossip Girl. For September 2014, Marie Claire has the honour of hosting Blake Lively on their cover celebrating 20 years in the business.